Glossy housekeeping magazines often feature houses that have “showroom quality”, because they remind you of how furniture stores arrange their products in the display area. Notwithstanding the truth that they do look nice, the homes do not radiate the sense that they have been lived-in. This statement is far from concluding that real people keep such properties for photography purposes, but at least show too the way the owners organize towels, beddings, and leftover dishes, right? 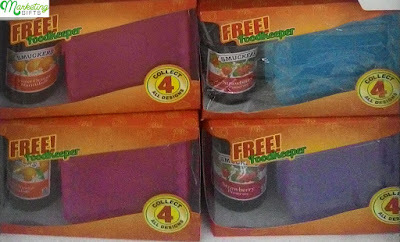 Speaking of the latter, below is a free foodkeeper from Smucker’s. Extra Profits. On-pack promotion items increase the value of the brand, regardless of how you view it. The consumers are not truly affected by the dimension of the gift, as long as it will provide convenience to them. Hence, the foodkeeper can earn more due to it. Extra Recognition. The response of people to brands that propose a gift with purchase to them is never negative. In fact, they even buy something from the same company over and over. Catch all the great marketing strategies at the Marketing Gifts blog to market your business more efficiently.